The strong emotions that you feel after experiencing the loss of a loved one can cause confusion and painful misunderstanding. Knowing how to mourn and move forward throughout this period of time without getting stuck in the dark is tormenting (especially, when you are unsure as to how you should manage thoughts and feelings.) By learning how to go through the stages of healing you'll have the opportunity to regain your functional ability and work toward a peace of mind with the right coping strategies. The support that people have after they endure a loss often comes from family and friends. 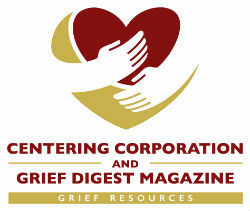 For those who have a hard time coping, grief counseling is recommended. If you feel that the grief that you're going through is taking control of you and you want to learn how to cope with it in a different way, you have the opportunity to do so by using an extra support system. You might need help in accepting the loss and identifying the feelings associated with it. It takes time and focus in order to grieve and heal during this mourning period. Dealing with the emotions is most important so that you heal correctly. You don't have to make decisions or deal with it alone as it will only make the process harder. With the help of a counselor you have the ability to gain insight on confusing feelings that are preventing you from pushing through this difficult time. As you open up and make the decision to get professional help you can find ways to face these emotions and do so for healing purposes. 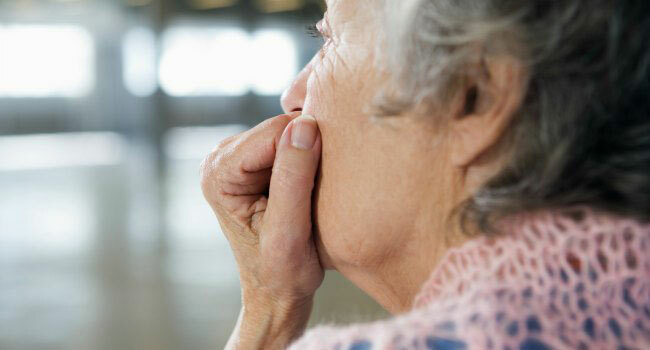 Grief feels unbearable and almost debilitating for long periods of time. It can turn into an immobilized feeling and cause us to think that we are incapable of moving forward. The intensity of this loss can feel so overwhelming that it becomes difficult to function in any area of life. There may be withdrawals and times where you feel that life isn't worth living. Grief can cause us to act angry and bitter toward others who want to act as a support system. At times it causes guilt and can make us feel like we are the ones to blame for the loss. The process of developing complicated grief can turn into a risk especially if there is a lack of social support or behavioral conditions. If you feel unable to adapt to life or cope with this feeling it's important that you receive help from a therapist sooner than later. Getting through the pain alone and bottling up the emotions that you feel will only worsen your isolationism and depression. Therapy acts as a strong support system for you and can help you get through the pain slowly. Because grief is a transformative process it pushes us to find strength and do so by confiding in more than one support system. It's common that the loss of someone who we cared for deeply feels unreal and since it has happened it is forcing us to somehow build a new perspective. As we go through the process it's important that we do it with people who want to help; we should avoid pushing them away out of anger. When we learn how to build resilience and incorporate people into the adjustments that we are making it can ease the pain of having to deal with the loss alone. It can be extremely difficult to express ourselves during a time like this although it is important that we do so for our own health. Part of this grieving process is changing external relationships to internal relationships and opening ourselves up so that we can learn how to repair a broken heart. Therapy strategies can teach us how to include family and friends into our lives and avoid facing the pain by ourselves which can make the process much more difficult. Having as much support as possible will help us stay focused on healing instead of getting stuck in debilitating emotions that can take over. People around us may also be feeling the same heartbreak and if we can deal with it together it might create a healthier coping mechanism. Making sense of a sudden loss is one of the most overwhelming feelings that we experience. When someone passes that we care for deeply it causes us to feel alone and bewildered. By gaining help from counseling we can learn how to understand and control emotions to find a peace of mind. Therapy helps us learn how to unlock our strength in overcoming difficulty and move beyond painful emotions. If you feel heightened anxiety, worry and detrimental coping patterns it can interfere with your entire being. Counseling can give you a supportive environment where you have the opportunity to disclose your thoughts safely and honestly. Remember that the response you have is natural as you will forever be changed by this loss. By getting professional help you can find understanding and uncover inner resources. With empowerment you will learn techniques that show you how to transform this experience into a new found self. Therapy will provide you with powerful coping mechanisms to help you learn how to find peace again as you embrace the natural grieving process.